Bespoke Nepal work with experienced rafting guides in Nepal who know the rivers there better than anyone else could. Nepal is the heartland of the Himalayas and this provides for one of the best white water experiences in the world with numerous rivers flowing from snow fed waters from the east to the west of the country. As a safety precation there will be a briefing before you enter the water and fun activities before you raft. You will have the experience of pumping up the rafts, safety helmets, what to do if you fall off the raft, also have an experience of swimming in the Himalayan rivers where the guides know is safe to swim. Most often the guides are local to the rivers and have grown up swimming and rafting in those rivers for many years. Bespoke Nepal can make arrangements for you to try rafting in all the rivers in Nepal and can be done in combination with trekking in the far west or the eastern trails in Nepal. The trips in Nepal ranges through all the difficulty varieties so you can ask us to design your trips with what you have in mind whether it is beginners or expert level. We can also arrange canoes which you can use on your own if you are an experienced canoeist. The rafting can be done from a very exciting one day one hour rafting trip higher up the rivers or ten day trips lazing down the river and relaxing in the sun. The longer trips will have tent sites along the shore where you will camp for the night and relax before setting off on the raft the next morning. Rafting creates a need for team work and helps you work with others as the rivers can require a bit of work sometimes, but is also very relaxing between rapids. The rivers normally have rapids with changes to smooth flowing water and back again to rapids. 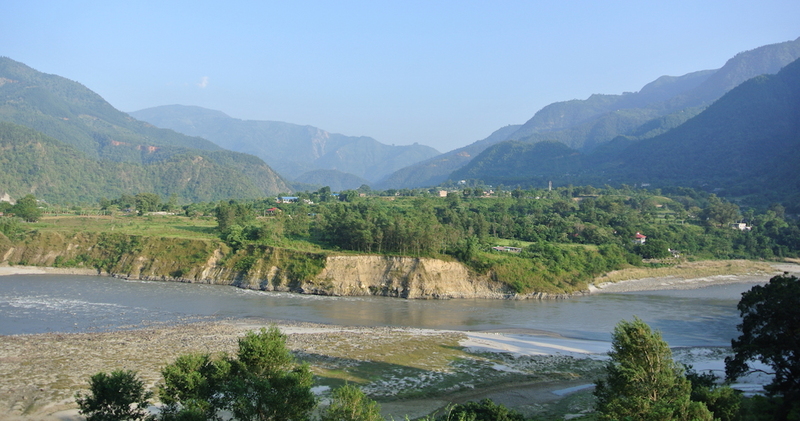 The Himalayan Rivers vary from smaller rivers to very large ones, each giving a unique experience. Sometimes it is possible to have the unique experience of rafting with the Nepal Rescue Team, learning what they do and how they operate in the rivers during emergencies. We are happy to have our contacts across the many rivers of Nepal, which means we can locate the best guides in whichever region and ensure your trip is a great success. Do send us a line if you require more info on anything or if you’d like to request an itinerary please email us with your interests and rough dates of travel to Nepal.